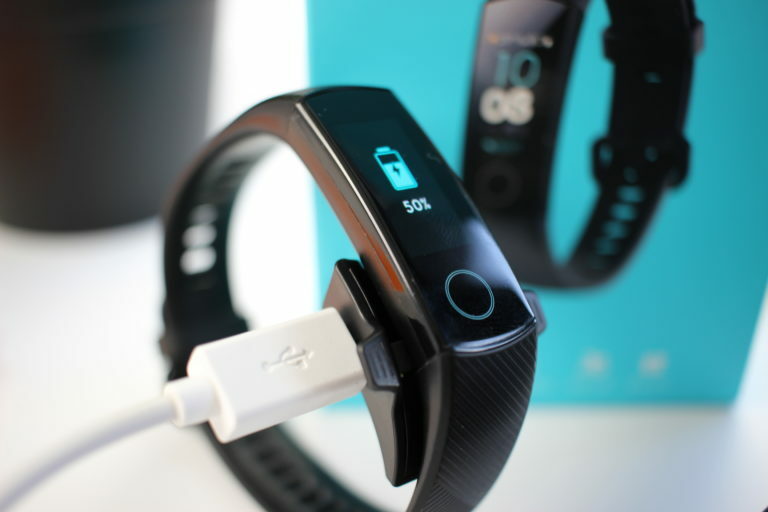 Honor Band 4: With colour display on the fitness tracker throne? The fourth fitness band of the Huawei daughter actually looks like most fitness trackers. Honor also opts for a band design here, unlike for example an Amazfit Bip. 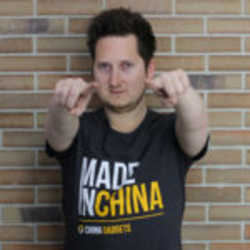 The heart of the system is the touch screen, which comes on the market with a diagonal of 0.95 inches. For comparison: the Mi Band 3 works with a 0.78 inch display. That’s only 0.17 inch more space in figures, but that’s what makes such a small display so special. 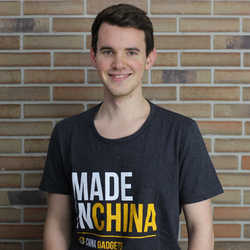 Included in delivery is only a short micro-USB cable, as well as the charging adapter and a Chinese manual. It is also important to note that the AMOLED panel is not only larger but also has a higher resolution. Thanks to the pixel density of 344 PPI (vs. 193 at Mi Band) text and symbols are displayed very sharply and single pixels are hardly visible from normal distance. In contrast to the Mi Band, it can also display colors and becomes much brighter. I always had the band on the lowest of the three brightness settings, as this is completely sufficient for outdoor use. 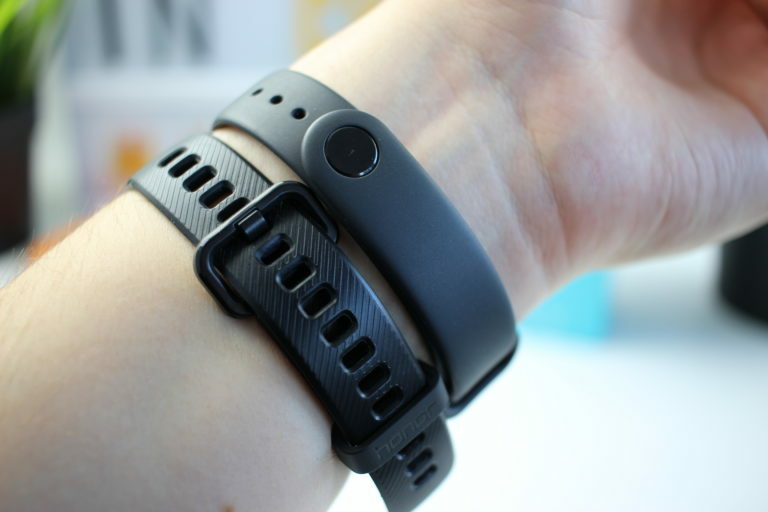 The bracelet of the Honor Band 4 is of course made of soft silicone to confirm the sporty approach of the Fitness Tracker. The strap is diagonally corrugated on the outside, but smooth on the inside and available in black, blue and pink. The closing mechanism is based on that of a classic watch strap. 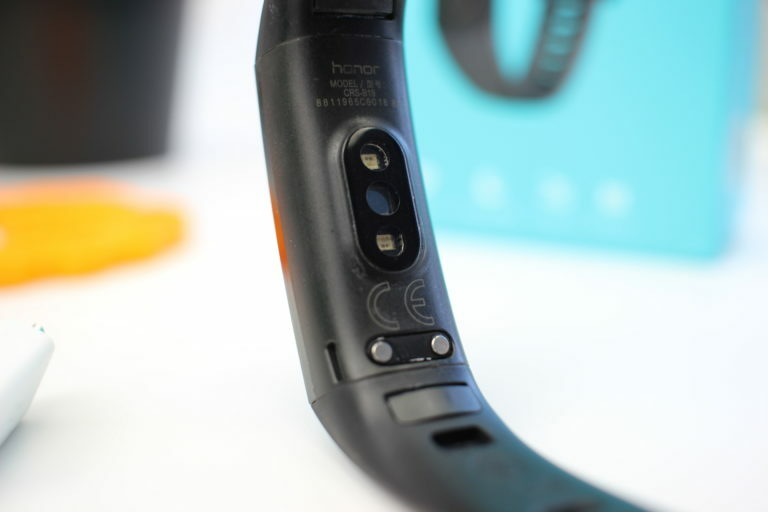 The Honor Band can be closed between 150 – 230 mm and fits around a few more wrists than the Mi Band 3. The clasp never accidentally opened during my tests. The protruding part of the bracelet is also held in place by the loop with the knob on the inside. 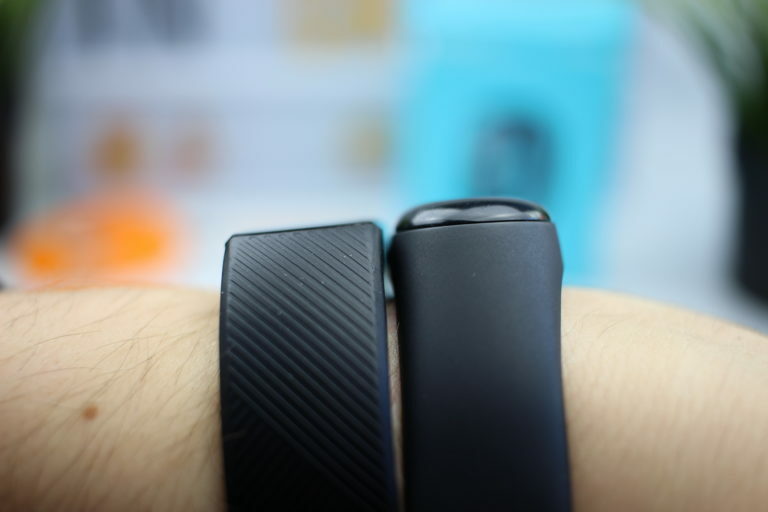 The Tracker itself is a bit smaller than the Mi Band and the glass is not bent on all sides and does not protrude. This makes the Honor Band 4 look a bit simpler and not so clunky, which I like better. The total weight of 23 g is 4.5 g heavier, which, as expected, is absolutely not noticeable in everyday life. The two straps are independently attached to the tracker and can also be replaced. 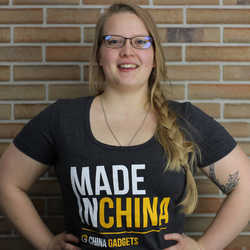 You can find replacement wristbands at AliExpress for very little money. After about two weeks I couldn’t see any wear and tear and the straps never came loose by themselves. 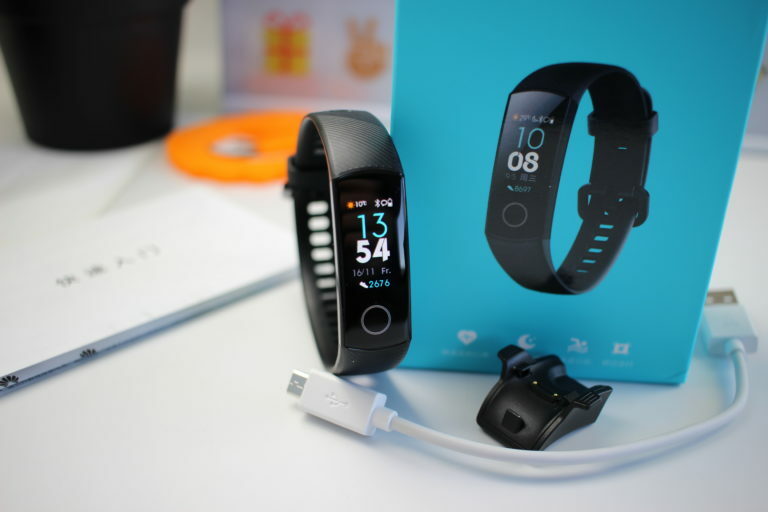 Honor is mainly promoting the many fitness and health functions of Band 4. However, the sensor equipment of Band 4 is no different from that of Mi Band 3. These include a 6-axis gyroscope, an acceleration sensor and an optical heart rate monitor that works with green light and infrared. Six different workouts can be started from the tape: running (outdoor/indoor), walking (outdoor), indoor cycling, indoor swimming and free training. You can also directly set goals (distance, time or calories) and alarms (distance or time). During the workout, depending on the sport, the elapsed time, distance, pulse, speed, calories and steps are displayed. 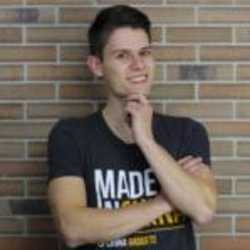 In order to test and compare the accuracy of the tracking while running, I started a workout of Honor and Mi Band without having a connection to the mobile phone. On my mobile phone I tracked the course with GPS and compared the results afterwards. Unfortunately the Honor Band 4 cannot be combined with Strava. Unfortunately, it is noticeable that Honor Band 4 (left) missed about 0.8 kilometers, while according to Mi Band 3 (right) I walked about 200 meters more. This is of course not a generally valid result, but surprising for me, because I chose extra running outdoor as my workout at the Honor, while you could only start a general exercise at the Mi Band. But for really accurate results the Bip or Stratos are still recommended. The pulse and sleep values in the test period have largely coincided with those of the Mi Band 3. For a really accurate heart rate measurement during sports you still need a chest strap, but as a reference the values are certainly not wrong. The infrared sensor in the middle is used for night pulse monitoring. I have to mention that the pulse measurement at Honor Band 4 is either continuously on or off. 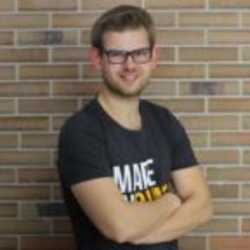 Unfortunately you can’t set an interval of 1, 5, 10 or 30 minutes like with the Mi Band. But the Honor Band 4 switches at night to the Messenger via infrared, which saves you the bright and unpleasant green lights. TruSleep sleep monitoring has been certified by the Dynamic Biomarker Center at Harvard Medical School. In practice, this means that you can distinguish between light, deep and REM sleep and get many tips for a better sleep that you probably ignore 😉 . 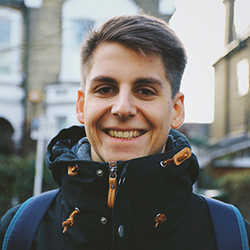 Thanks to this measurement, it is also possible to use a smart alarm clock that wakes you up to 30 minutes earlier if you are in a light sleep phase. Honor also promotes the integrated swim mode, which recognizes the number of swim moves, but also counts the distance and turns. It can also automatically calculate the SWOLF value based on the time for a lane and the number of strokes. Even if this sounds really good and is a unique selling point compared to other China fitness trackers, the ATM5 water protection is almost too little. 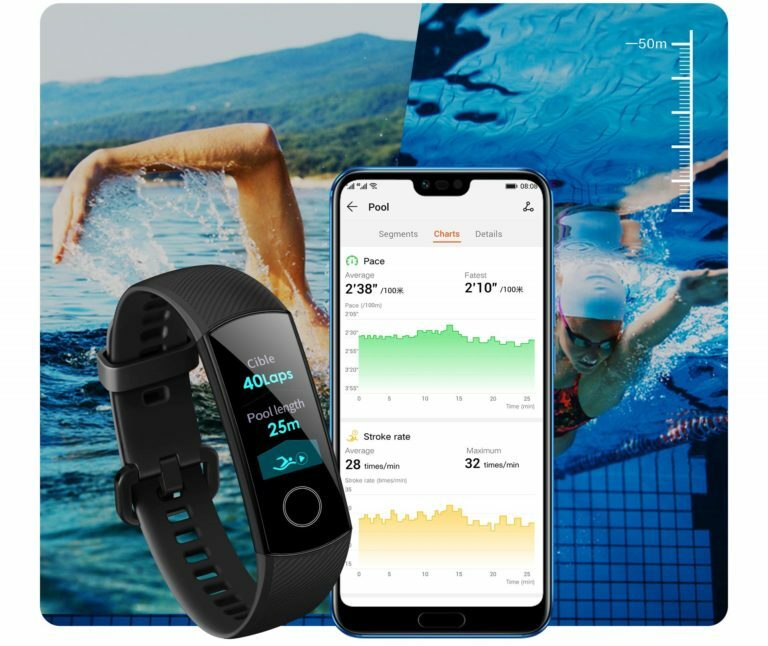 Although the Stratos and the Mi Band 3 are equipped in the same way and have both passed our swim tests without any problems, this is not guaranteed with the ATM5. Unfortunately I wasn’t swimming with Honor Band 4 yet, but I will do it as soon as possible and add my experience here. Showering, bathing or such sweat could not harm Band 4 yet. If you were already swimming with band 4, please write in the comments if it survived. In addition to all the fitness functions, you can also display notifications, reject calls, search your mobile phone, set the timer or start the stopwatch on Honor Band 4. Notifications are not the strength of Honor Band 4, though. 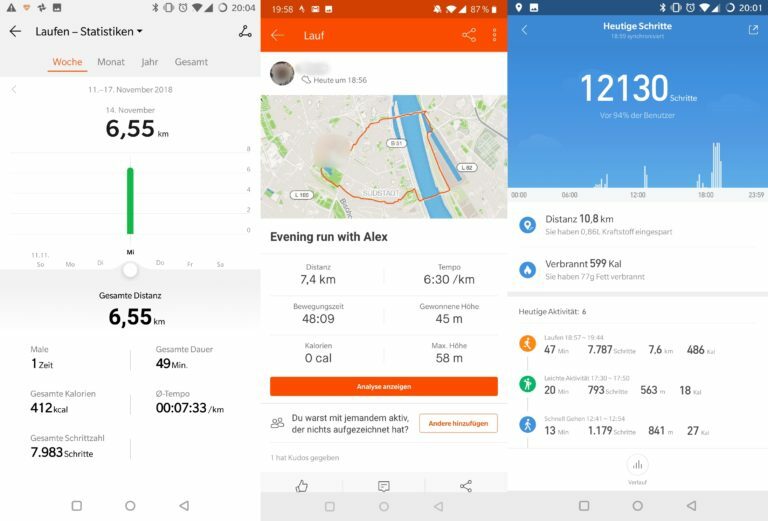 You can (de-)activate individual apps in the Huawei Health App (Android/iOS), but you can’t set it not to vibrate when the phone screen is turned on – that’s annoying in the long run. The Honor Band also takes much longer to turn on the screen when you receive a notification. If it is then on, you unfortunately get a list with all unread notifications and have to tap on the newest one to open it. The Mi Band 3 always displays the newest message. Strangely enough, the Honor Band doesn’t manage to display the message even though it has a bigger screen. For me personally this is the biggest negative point at Honor Band 4, because I use my Mi Band 3 most to check the notification. With the fee this is unfortunately not a really short process. Of course you can also change the main display. 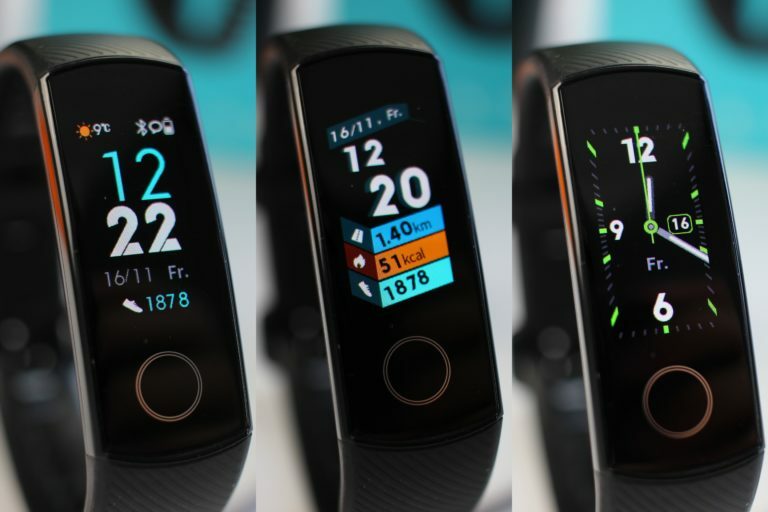 On the left is the overview display, which shows the time and date, the steps, possible notifications, the battery status and the weather. The middle display is best suited for athletes as it directly displays three different measurement results. The normal clock display on the right might then be something for a more chic occasion. Despite the large colour display and the 100 mAh small battery, Honor advertises with a battery life of up to 17 days. However, they even say themselves that this is only possible if the band 4 is used exclusively as a clock and pedometer. 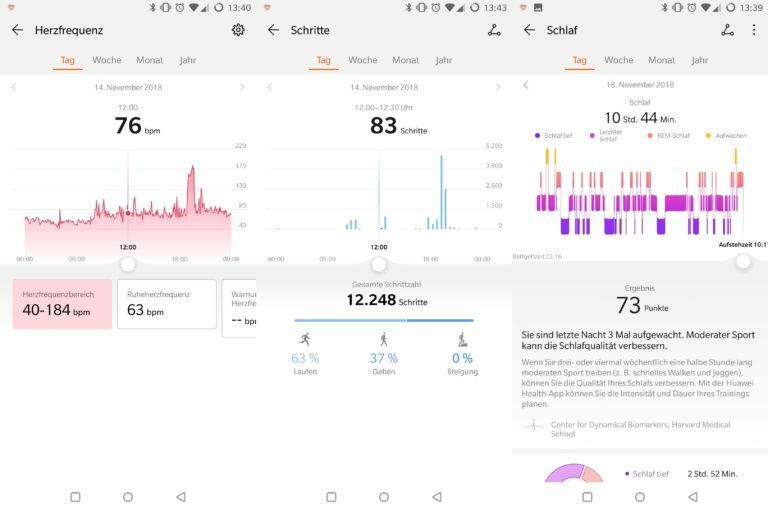 With all functions activated (continuous heart rate measurement, sleep monitoring, notifications, alarm clock) six days should be possible, which almost fit to the hour. If you deactivate the permanent heart rate measurement for nine days, you will get 14 days without sleep monitoring. Unfortunately this means that Honor’s battery life is 1-2 days behind Mi Band 3. For charging you use the small charging station, which recharges the band in about 1.5 hours via the two small gold contacts on the underside. 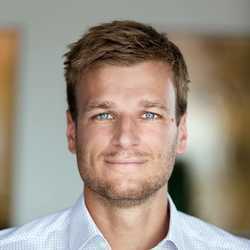 A more elegant solution would be nice in the future. 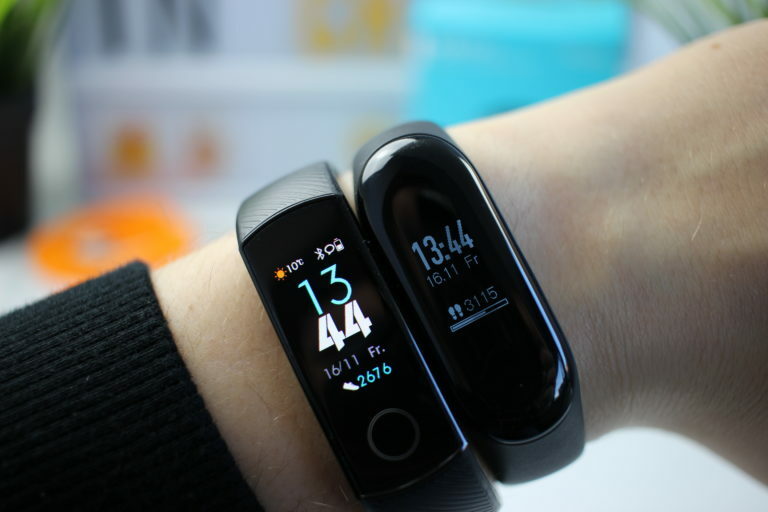 If it weren’t for the Mi Band 3, the Honor Band 4 might be sitting on the fitness tracker throne. However, the fee currently costs a little more and offers only one big advantage: the display. Admittedly, the color display with its high resolution and high brightness is so superior to the Mi Band 3 that it’s almost sad. However, I also get along well with the Mi Band Display and gladly do without the Honor Display if I get the better runtime of the Mi Band for it. The other features are almost identical, except that the Honor Band 4 tracks worse when running and the Mi Band handles notifications better. Should the price be lower in the future or during promotions, the distance to the Mi Band 3 would be smaller, but currently I can’t recommend the Honor Band 4. 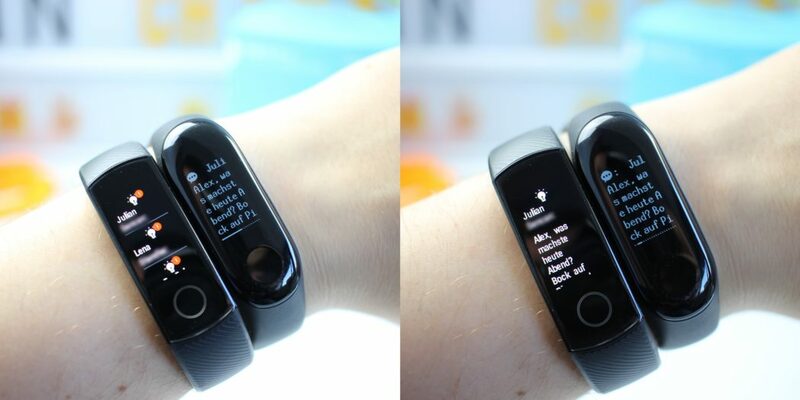 Also; I can only connect it to the health app and not the wear app. You have to go in the Huawei Health App (it’s normal that you have to use the health app). 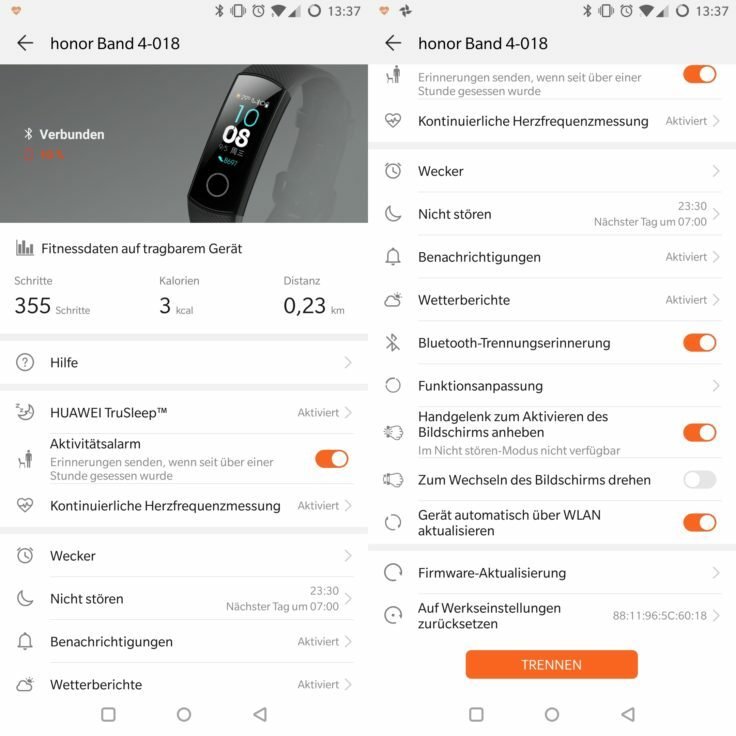 In the App go to "”Me"”>Honor Band 4>Notifications and there you have to activate your Apps.